The Swiss/German financial consulter could not manage the turnaround in 2010. 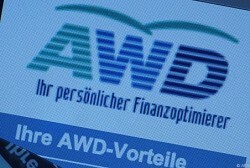 In 2010, the financial advisor company AWD Austria had to report operating losses amounting to € 4.5m. In 2009, EBITDA was € -42.3m. "Our target remains profitability", AWD Austria announced. The german consulting group is integrated in the Swiss insurance company Swiss Life. Turnover grew by 9.4% up to € 74.8m.